Wow. The old gang is back together again! Thememaker's Toolkit / Re: Thememakers Toolkit Coming later in the year...and an update. 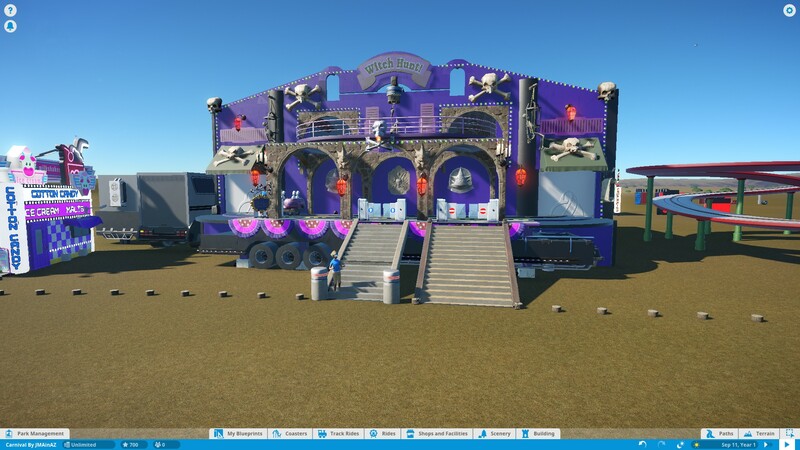 Should we make a section under the Planet Coaster Banner in the forums for the Thememaker's Toolkit? I noticed one thing in the FAQ said folks will have a limit on the number of objects they can upload...how do you guys feel about that? It depends on what they mean exactly. 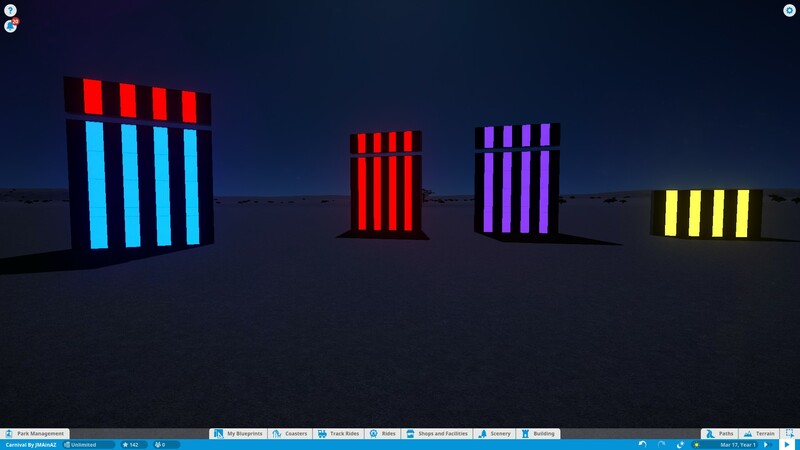 "Once you are happy with your work, you can upload the model to the Steam Workshop via the in-game functionality. 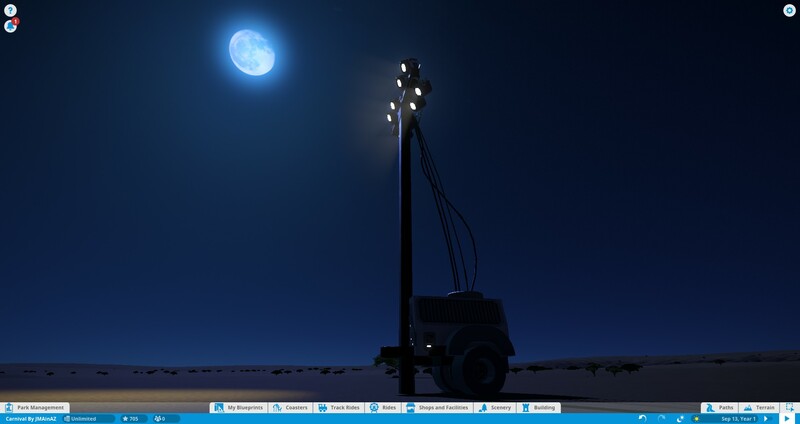 You take a screenshot of the model, exactly like what you do for blueprints, and it becomes available for download on Steam Workshop." 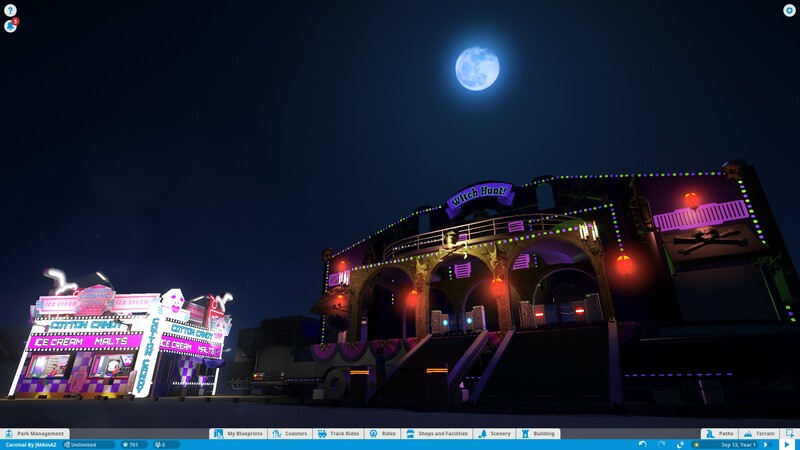 "any new scenery items created via the Thememaker's Toolkit can be shared via the Planet Coaster Steam Workshop." 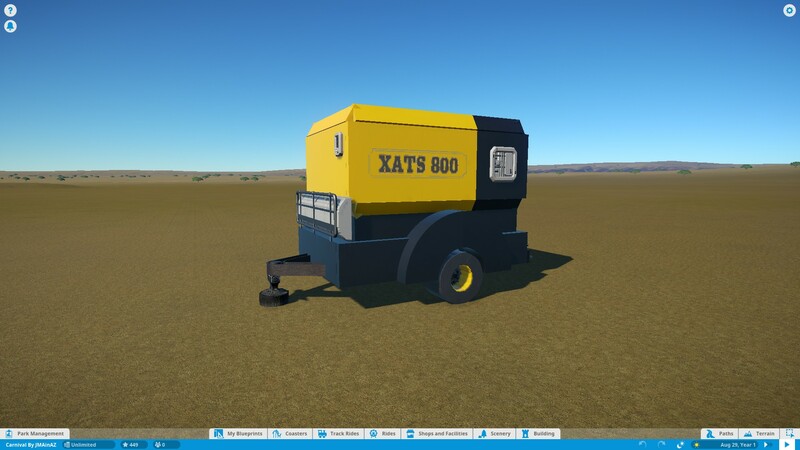 Once it's on the workshop, how will it relate to the file on the TMT? If someone downloads your scenery from Steam, do they then need to download custom content from the TMT? Or does it link there? I'm not quite clear about that part. ..."we are expecting to support .fbx created in Autodesk Maya, but we are looking at other packages like Autodesk 3DS Max and Blender as well." I'm going to assume that Blender will be supported - otherwise I imagine that they will have a bunch of disappointed users that don't have access to pricey programs like Autodesk's 3DS Max and Maya. Now is your chance to brush up on your skills. I've been out of town and haven't been able to find the time to play with the new update. However, I took my daughter to her school carnival and while I was there, I saw some mobile lights. 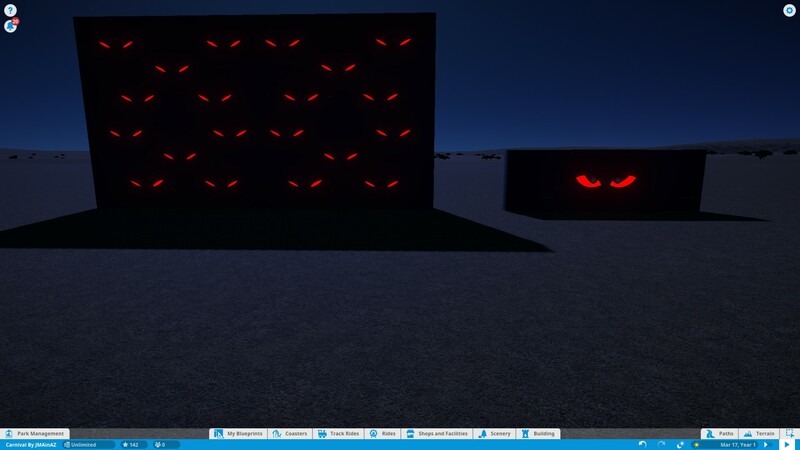 So I created some for my own park. I'm not sure if I like the cables coming down. I like them up in the lights though. Yep. It happens to me, usually after a long play session. I have to exit and relaunch the game to get them back. I think I saw this brought up in the PC forums as well. I haven't heard anything about a fix yet. That happens to me too. I think it starts to happen when you select large quantities of items and move them, but I could be wrong. I did notice that everything is OK after it happens and that it isn't permanent. You can continue working in your park, saving it as you go along, and the signs will restore when you reload the file. I posted this in my park thread- but thought I'd put it here as well- for those looking for neat tricks you can do in the game. Take the sign and duplicate it. Change the color and move it back over the original so it lines up perfectly. Repeat the process but tilt it away from you to get a three-tone colored sign! Life got in the way over the past week and my time spent inside PC has been limited. I do however, have some new stuff I haven't shown. Now that we are so close to the update, I'm feeling unmotivated to work on the park until it's release. Especially knowing that there may be the ability to turn off certain collision detection. That changes everything! Witch Hunt, seen below, may get an entire interior redesign if this news is true. 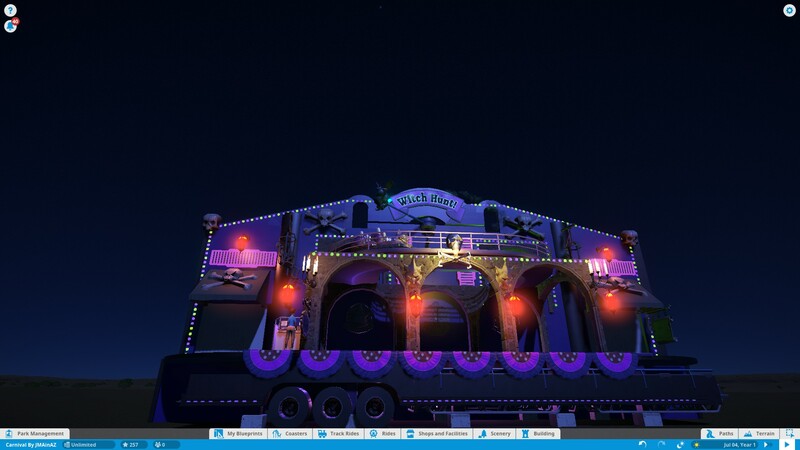 And the Fun House, and flat ride overlays, I've been working on might be modified. Hence the reason I want to delay further builds. I may work on some novelty stands though. Valley Amusements erected this mobile haunted house, multi-level, ride-through attraction. 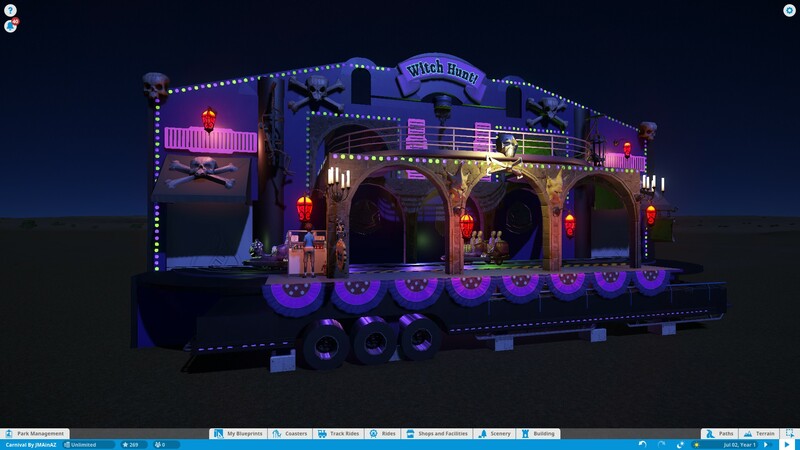 This will be one of a few themed dark-ride type attractions found at the carnival. Here is a random shot that shows Tri-Star in the background. Valley Amusements is putting the finishing touches on this flat ride. I haven't shown you guys much of the actual carnival grounds. I'm saving that update for another time. But here is a sneak peek from behind the new Tri-Star ride. The carnival should be bright and whimsical, bustling with activity, sounds, music, lights and fun. Wow. You work fast. I missed a bunch of updates and now I have sensory overload! That mini-golf course is brilliant! I love the art deco work on Royal Terrace and the picnic pavilion is simple but perfect. Are the games yours or from the workshop? I haven't decided what I'm doing about games in my Carnival park. Padre Springs is gorgeous. I think I will spend some time there. The thrills can wait. Somehow you make the flat rides in the game pop. I love everything about the placement of the Sky Ace. Nice work on this so far. First. I love the escalator. The line to enter the inside line...lol. Planet Coaster Parks / Re: Swiss Valley Park "letsplay Series" now with Pictures and Video! I love Swiss Valley Day! Now where do I go to get my happy hour beer? Have you thought about adding some elevation to the challenge? You guys missed some exciting stuff! mb made a building and got it completely right on the first try! And Kinderly epitomized his name as always. Can't wait for the next live stream. The sign for Thunder Run is spot on. And the tea cup cover looks elegant. I know what you mean when you say the update has actually de-motivated you. Not too much longer though. I have three shots for you today. 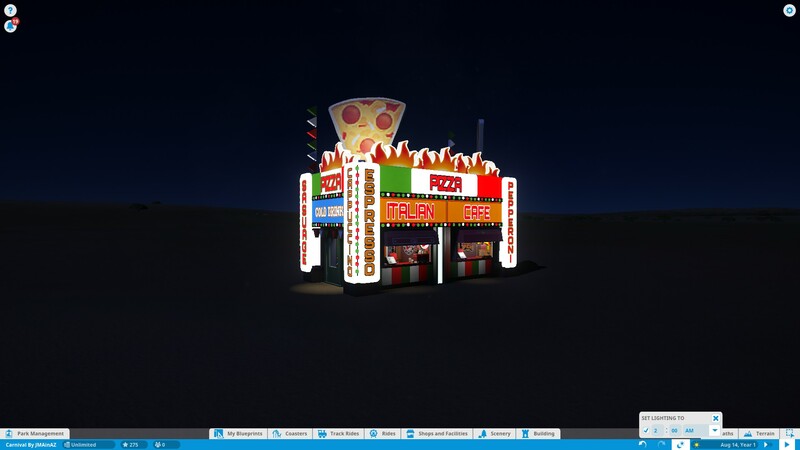 A new food stand arrived for all you Italian food lovers like me. Of course you can't have a carnival if you don't have power! All the best carnivals use Atlas Copco XATS 800s and Valley Amusements is no exception. Next up. What's that in the background? That's a good question actually. I would think that it would be popular down in Texas. 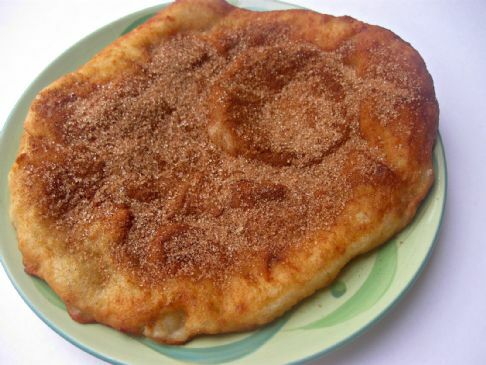 Growing up in New England, they always had Fried Bread AKA Fried Dough at the carnivals and fairs. They would serve it with honey/powdered sugar/cinnamon. When I moved to Arizona, it seemed the carnivals and fairs offered Funnel Cakes. They would serve those with honey/powdered sugar/cinnamon. 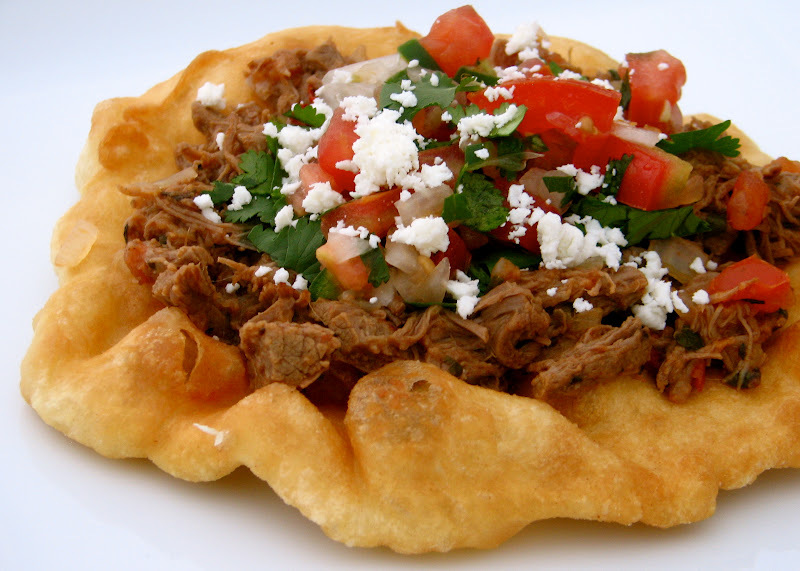 Furthermore, some of the restaurants here serve Fried Bread with savory Mexican toppings. I heard it was a regional thing and that some Carnivals that travel to other regions actually switch out their signs and recipes. I don't know if that is true or not. What is everyone else's experience with Fried Bread / Funnel Cakes etc? Oh, the stalls on the trucks do require a small ramp/stairs. 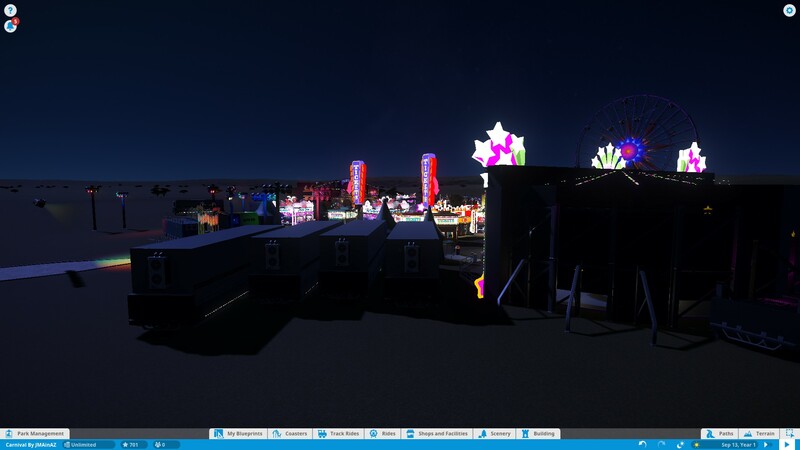 However, I'm thinking that in some sections of the carnival, there will be truck bays that will line up the stalls with the ground level. Thanks SPRidley. 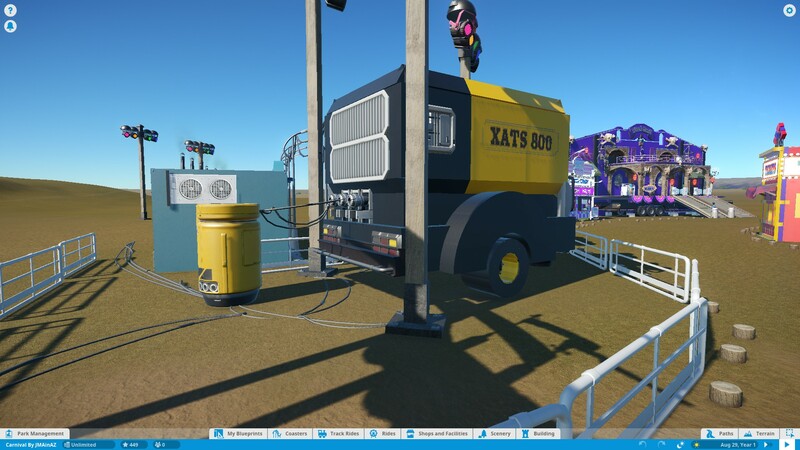 The port-a-potties are working restrooms in the game as well. 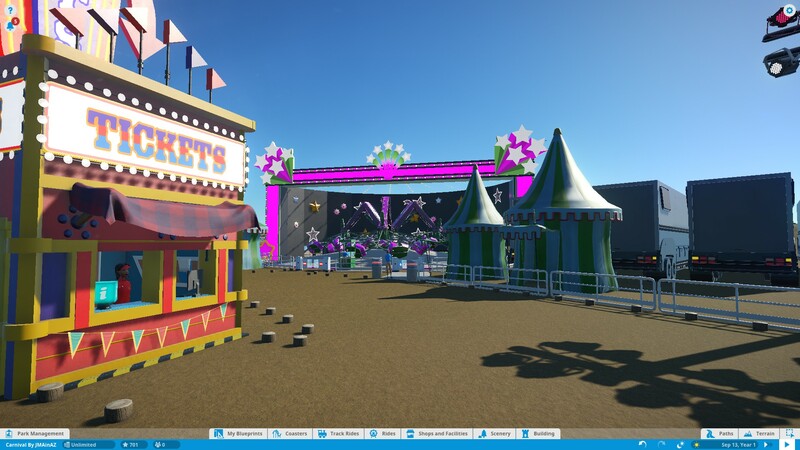 Planet Coaster Parks / Re: Valley Amusements - Carnival [FUN] - Sign Trick! 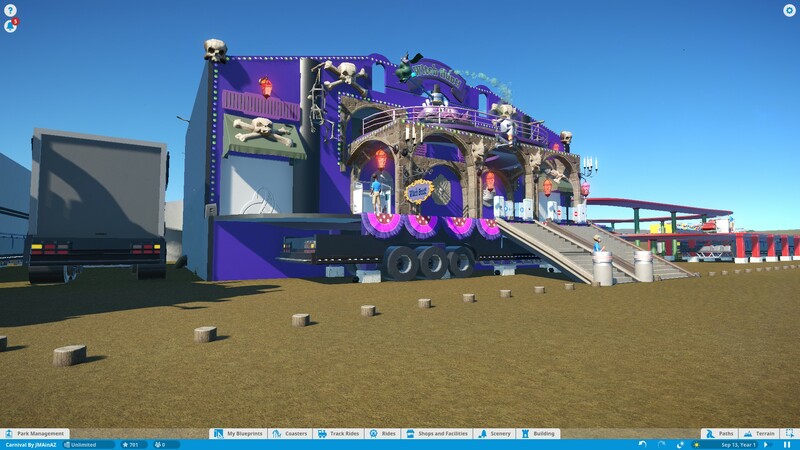 Today I present a few new structures making their way to the carnival grounds. Stay tuned. Valley Amusements is putting the finishing touches on Witch Hunt- a haunted house attraction. Planet Coaster Parks / Re: Sabino Wash Theme Park- Welcome to Arizona! I only wish they had something like this in Arizona. Phoenix, the 4-5th largest city in the USA and we have nothing but the ghetto... Castles & Coasters. Nice to see you johny! And it looks like you're off to a wonderful start. Those are so great shots. 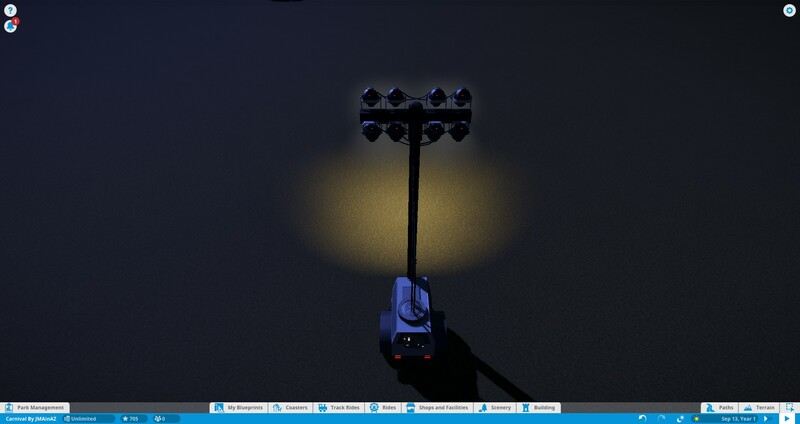 This is hands down one of the best things I've seen in Planet Coaster. Everything is so well thought out and crafted. That arcade is simply stunning! To be clear, am I able to claim my Roller Coaster Tycoon World upstairs as well? I'm not sure I'd want to walk all the way back downstairs to get that crappy prize. This looks like it's coming along quite nicely. I'd like to see the restaurant at night. You have a lot going on here and it looks brilliant. It's a more unique style and really pops. You just need to fire the CEO. I want to go on that rapid ride just so I can experience that fly-by!